Since its inception in Japan in 1951 Rigaku Corporation has been at the forefront of analytical and industrial instrumentation technology. With hundreds of major innovations to its credit, Rigaku continue to set the standard in x-ray analytical equipment. Furthermore, Rigaku also supply multi-layer crystals to other x-ray manufacturers, without which they would not be able to compete in the marketplace. With these crystals being developed in-house, Rigaku continue to lead field. Materials Science is the study of matter and it’s related properties. To be able to understand how a material behaves it is imperative to have an understanding of its structure and composition. This is where Rigaku x-ray diffraction (XRD) and x-ray fluorescence products will be vital to your laboratory. With Rigaku’s ever evolving technological improvements, combined with their reliability, you can be sure that the instrument you choose will include the most up to date technology and will serve you well into the future. 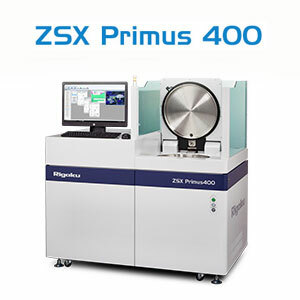 Rigaku offer a complete range of XRD systems for materials science applications. From compact benchtop diffractometers to highly versatile floor standing systems that can measure in a vast array of different modes to systems built specifically to measure particular properties, Rigaku have systems to suit almost any application you can imagine. Built with high precision, Rigaku offer the only systems on the market that will truly automatically align themselves. Protected by patented technology, the competition are always trying to emulate this user-friendly functionality. For universities and other research institutions that measure samples using several different modes, using different diffractometer configurations, Rigaku systems are the ideal solution, making switching modes a simple operation and eliminating the need for engineers to constantly align and calibrate goniometers. Rigaku are also the only manufacturer of XRD systems that extend past the variety of materials science applications, through to small molecule and life science and into protein crystallography. Rigaku manufacture the analytical multi layer crystals that are used in XRF spectrometers that carry their own brand, but those of their competitors. As a consequence, they are best placed to be able to build instruments to take full advantage of these key components. Their range of XRF spectrometers include systems that are based on both Energy Dispersive X-Ray Fluorescence (EDXRF) and Wavelength Dispersive X-Ray Fluoresecence (WDXRF). As with their range of XRDs, the XRF portfolio begins with compact benchtop spectrometers and extends to floor standing units that can automatically process dozens of samples. It also includes systems designed to analyse specific materials.